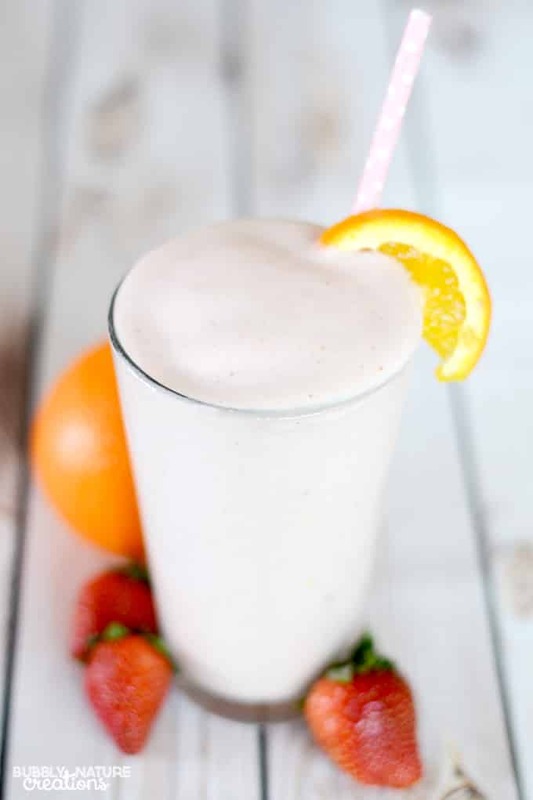 I was provided a Nutri Ninja® | Ninja® Blender to help facilitate this Strawberry Orange Protein Smoothie recipe post. No other compensation was given. All opinions are my own. One of the easiest ways I have found to curb cravings and fill up is making protein smoothies. 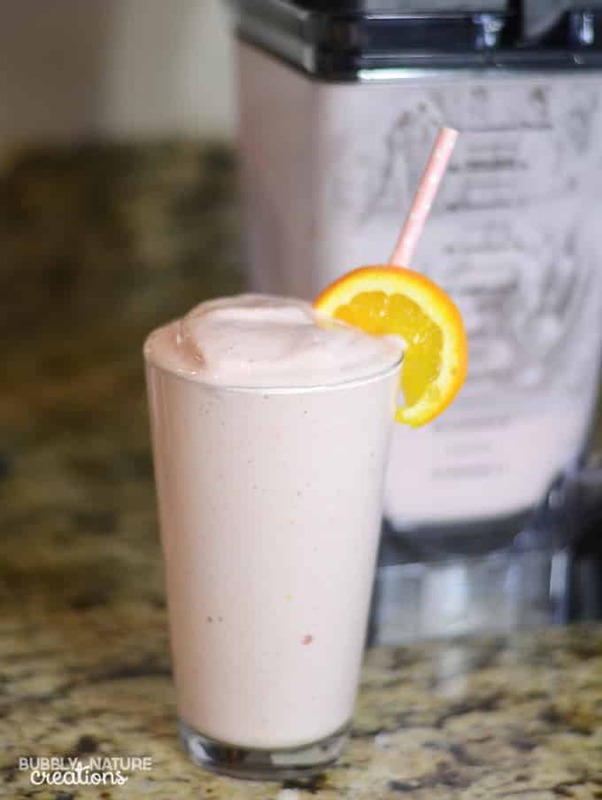 My favorite smoothies are low calorie, low carbs, low fat and moderate protein. It’s a great way to have something filling when I really don’t need any extra calories! Now that I am making smoothies more often I though I would upgrade my 3 year old Ninja Blender to a newer model. I knew I wanted to stick with the Ninja brand because I have had great success with my older one. 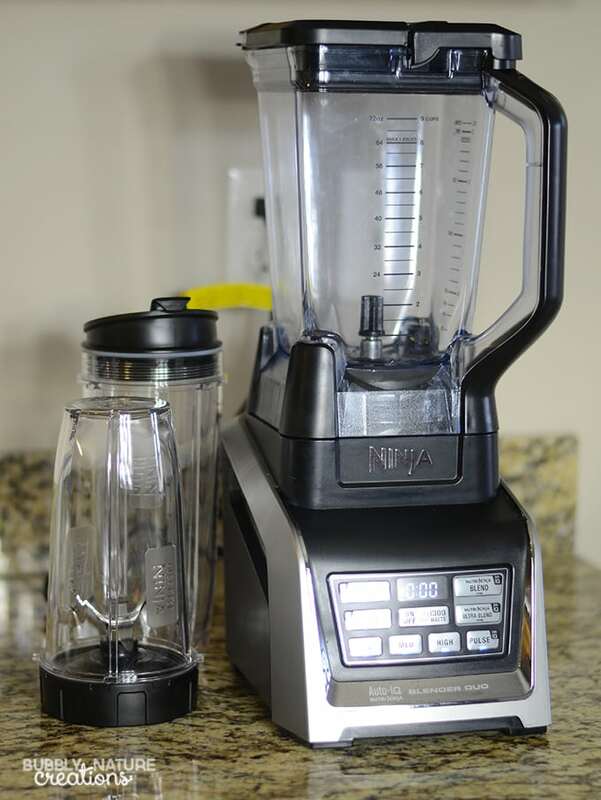 I love the triple blades on my older model and so I picked out the Nutri Ninja® | Ninja® Blender because it uses the same blades for the bigger pitcher. I also loved that it came with 2 smaller Nutri Ninja® Cups with Sip & SealTMLids. When I just need one serving it makes it so much easier to have the cups on hand and I can blend and drink from the same cup. Most of the time I use the larger pitcher because I know that my husband and kids will want some too. 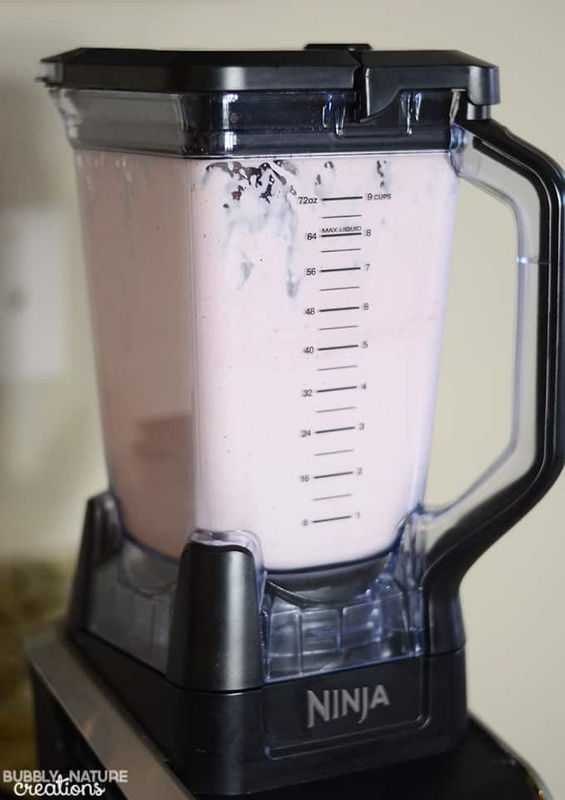 The main thing I was hoping for in my new Ninja Blender was that it would blend up my smoothies into a fluffy and creamy consistency. 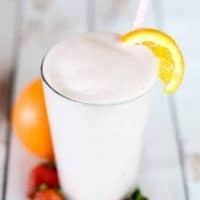 For this smoothie I used the Frozen Drinks and Smoothies IQ button. This would ensure that I got the best blend for a smoothie. It automatically pulses so that I can just press the button and go do other things while it blends away. 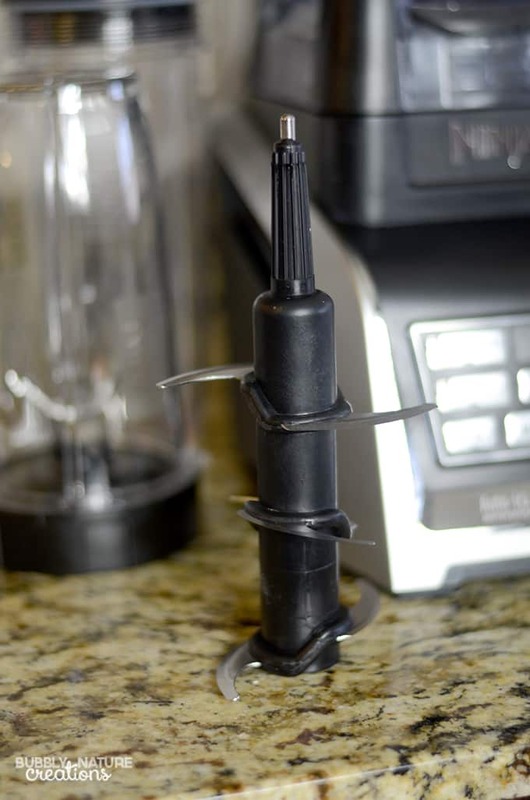 Pulsing makes the smoothies or frozen drinks ultra smooth. For my Strawberry Orange Smoothie I used both frozen strawberries and ice. 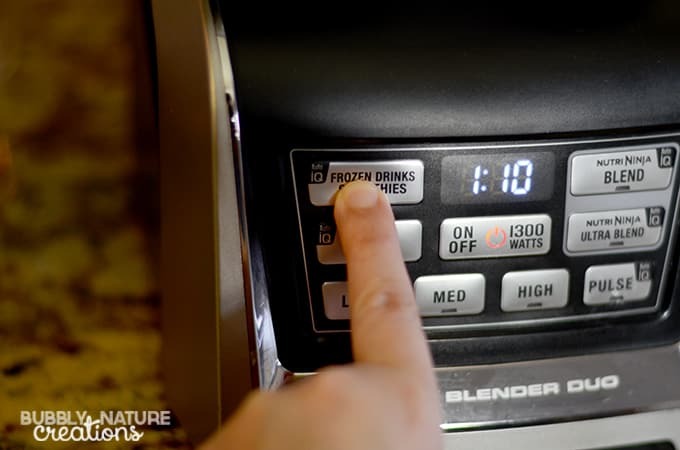 In a normal blender this would be a hard task, but not for the Nutri Ninja®! This smoothie turned out perfect! It was light and had a whipped consistency! I loved the flavors of the strawberries and orange. It reminded me of the orange drinks we used to get at the mall… so good! 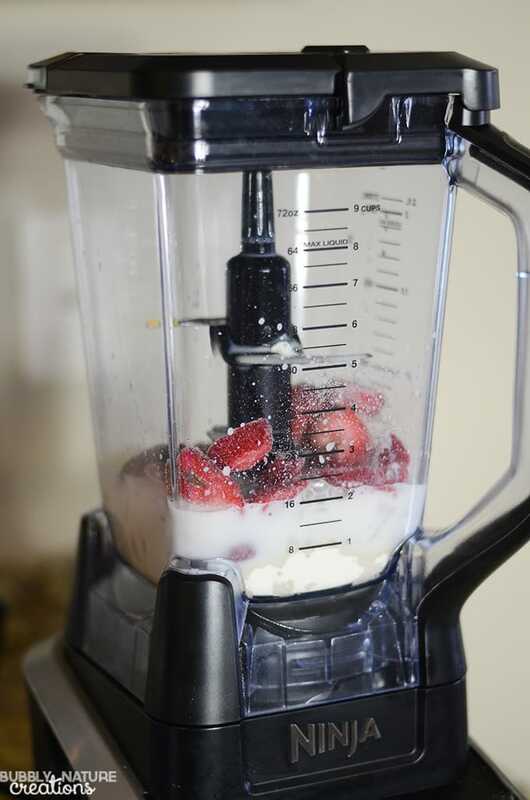 Blend all ingredients in blender on high until smooth and creamy. Serves 1 to 2 people. 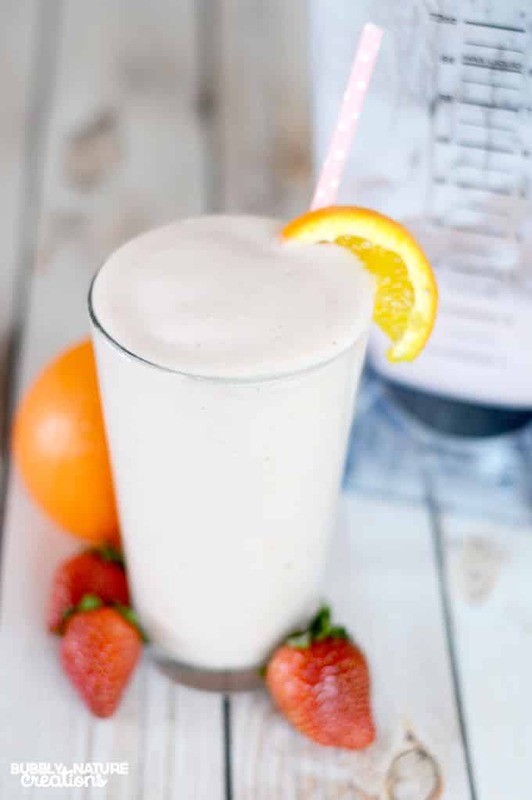 What is your favorite smoothie? Be sure to check out Ninja Blenders on the Ninja Website, Facebook and Twitter!